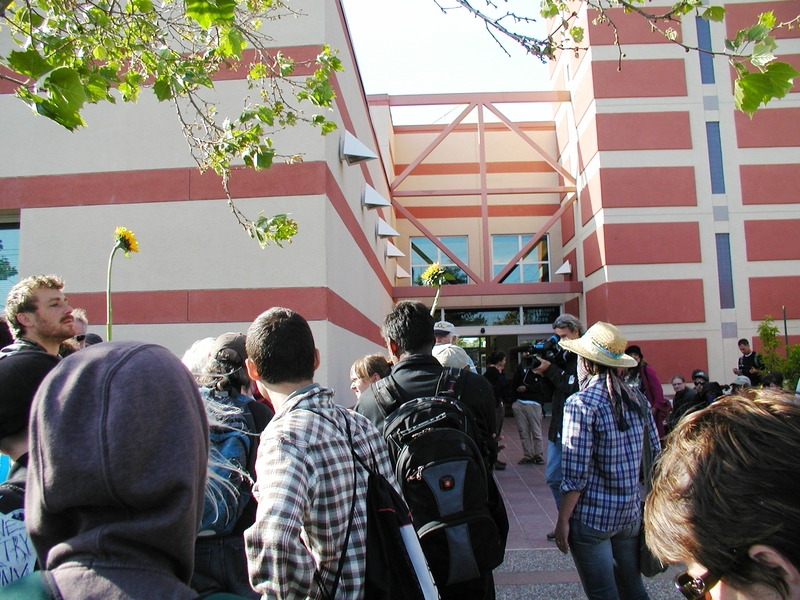 Albany Community Center plaza was the scene of an inspired demonstration of flower power today! 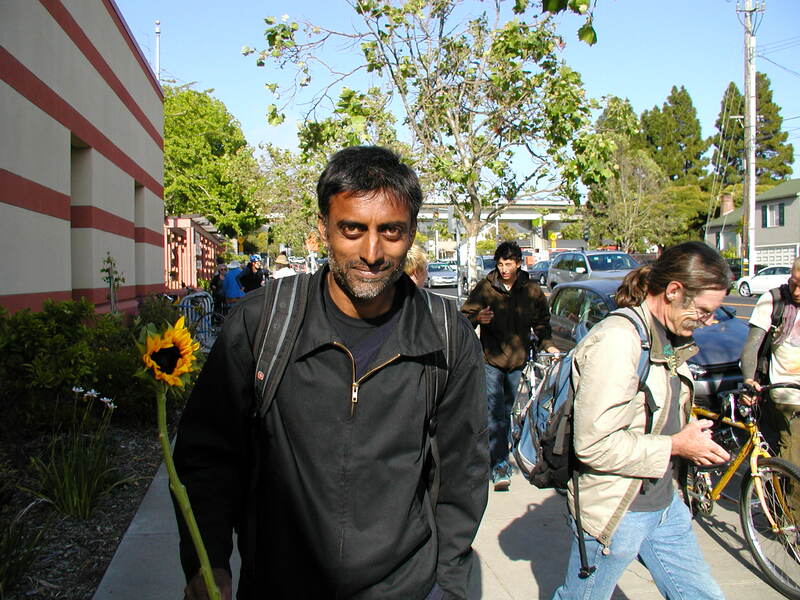 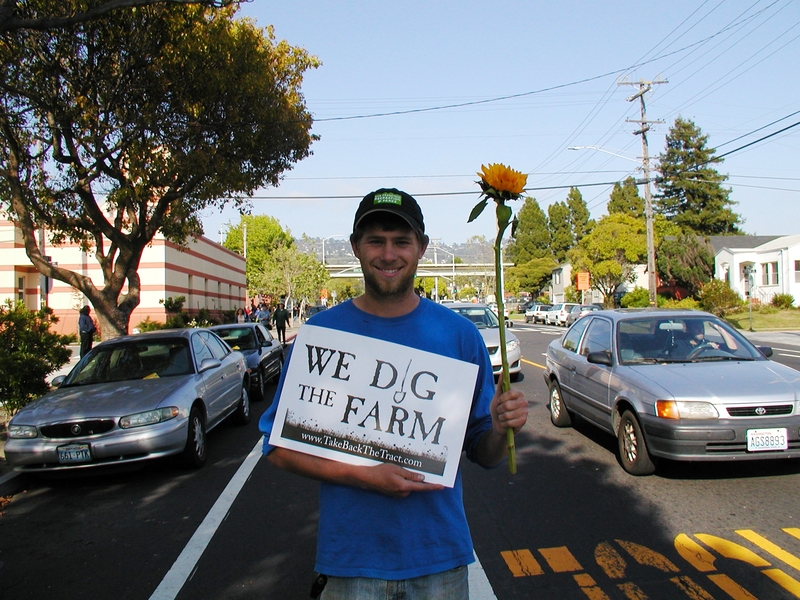 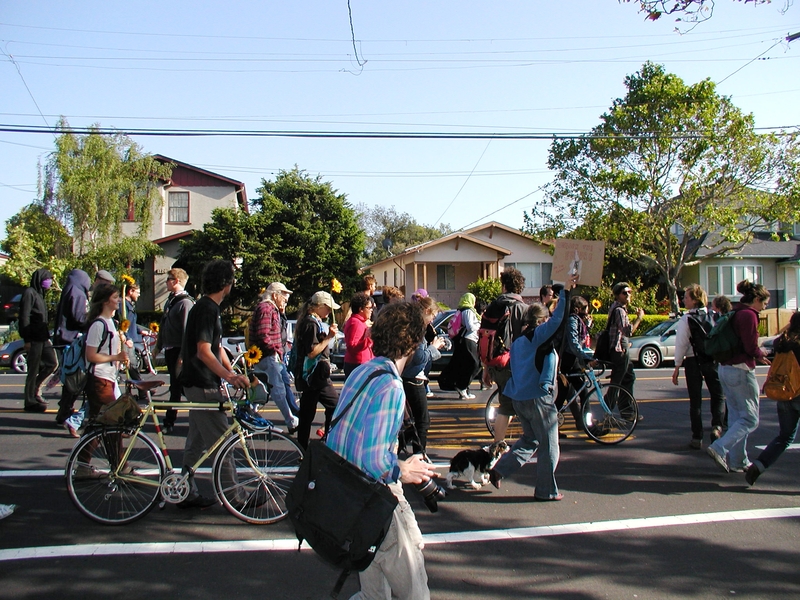 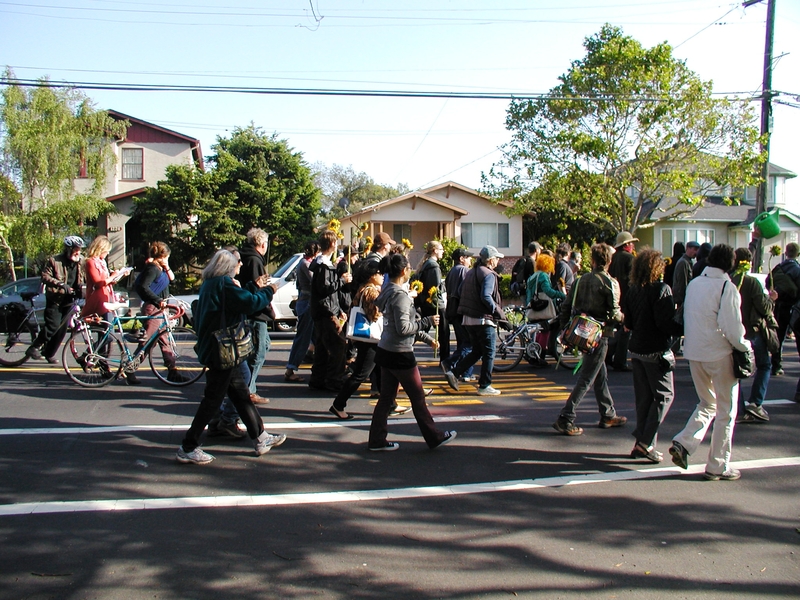 Brandishing sunflowers, the speakers and farmers from the Gill Tract down the street, gathered to address local citizens and the media. 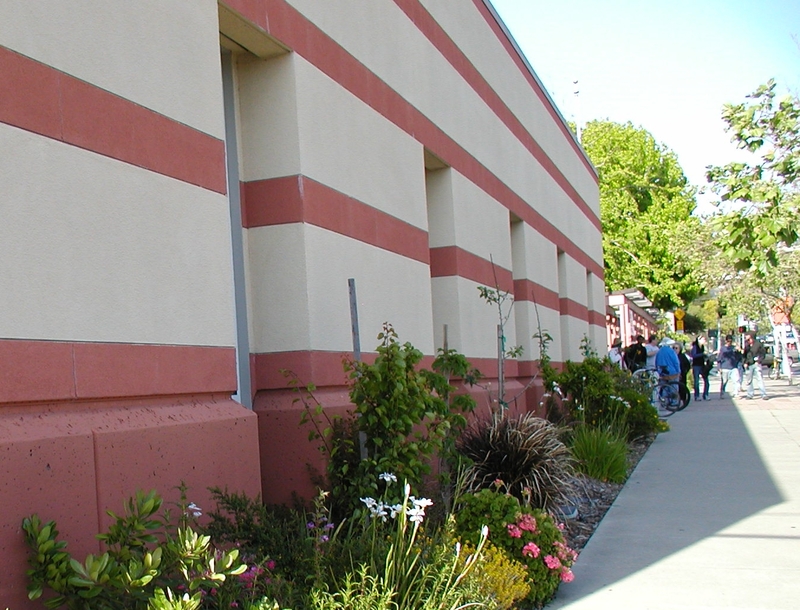 Albany Library’s pink stripes are the backdrop to the photos below, and the beautiful flowers planted by city gardeners show that the Library and Community Center are yet another green spot on Marin Avenue.